The Premier League is arguably the most competitive league in the world which boasts about its high quality of football, with a whopping 44 players in the semi-finals playing in England's top division during regular season. This stat is heavily attributed by the fact that the entire 23-man squad representing England is from The Premier League. However, excluding these 23 players, there were still 21 players who represented The Premier League in the final four teams. This clearly points towards the fact that The Premier League has grown into a level where the top players from around the world play in England in a highly competitive atmosphere where each game matters. However, a few players from England's top league failed to recreate their club performances for their country. This World Cup saw many upsets and unexpected performances from top countries. Here is a look at five players from the Premier League, who failed to impress at the World Cup in Russia. Nigeria had a fairly tough group in group D, alongside Iceland, Argentina and Croatia. 'The Eagles' had an exciting team filled with talented youngsters as well a a few seasoned veterans. One player who was seen as a hot prospect and a spark for the NIgerian team was 22-year-old Alex Iwobi. 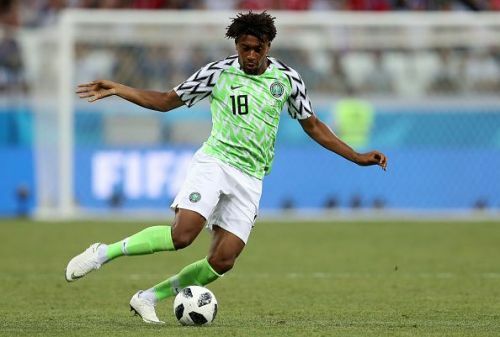 However, Alex Iwobi failed to impress in Nigeria's opener against Croatia. He was loose, chaotic and often drifted to his natural position -- central midfield. This left a void on the left side where he was initially employed and the Nigerian team was exposed to counters and gave a lot of space to their opponents. Furthermore, Iwobi showed little to no prowess with the ball which was unlike his common self. For a player of his quality and talent to be dropped to the bench and play only 20 odd minutes out of 90 was disappointing. Nigeria failed to advance past the group stage and took an early flight home. Iwobi was joined by Arsenal teammates Mohamed El Neeny and Mesut Özil as Egypt and Germany failed to qualify for the knockout stages as well.